Martha looked haggard. “I’m so worried about my 15-year-old son!” Her voice was husky. · Family members don’t let other family members do things that are unsafe. · Recruit a responsible adult whom I approve of and you can go. · I’ll go with you. · We’ll get several of our friends to bring their families and we’ll all go. Maybe nothing says more about family values than how we teach children to deal with money. 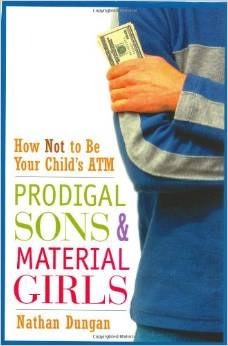 Nathan Dungan in his book, Prodigal Sons and Material Girls: How Not to Be Your Child's ATM, recommends a simple 3S plan, Share, Save, Spend. Each time the child earns or is given money, the money is divided into three boxes, jars, sox, or bank accounts, depending on the age of the child. The very young child could be given three quarters, one for each box. The parent teaches family values by explaining why we share and with whom the child might share. The save box, for the young child, will be for a very short-term purchase. The older child may save for online skates, clothing, a computer, the prom, a vacation trip (even to Cancun), a vehicle, college or other training. For the very young child, the parents decide the proportions. Missy, who is three, gets three quarters, one for each jar. Allida, who is nine, gets $5.00 per week. One for Share, one for Save (for birthday presents) and three to Spend because she needs some money for school supplies and some to help her learn the many lessons about discretionary funds. Brandon, who is sixteen and has been doing the Share, Save, Spend method for years, negotiates with his parents about what his expenses will be, how much he can earn, and how much they will provide. He discusses proposed percentages for the three funds with his parents. If he doesn’t already have both a checking account and a savings account in a bank, his parents help him negotiate getting them. But, what about Brad? Is fifteen too late to start the Share, Save, Spend plan? Depends. Depends on Martha’s values. Maybe she doesn’t value sharing or saving. Depends on her determination and ability to carry through. Depends on her ability to tolerate Brad’s discomfort should he choose to resist. He is still a minor, and she is still responsible for him. We hope she finds support. Clearly Martha has been overindulging by giving Brad too much freedom. Adults who were overindulged as children, and who participated in the Overindulgence Research Studies, indicated that they do not appreciate having been given too much freedom or too many things as children. These days some children don’t have enough resources, and others are awash in money. 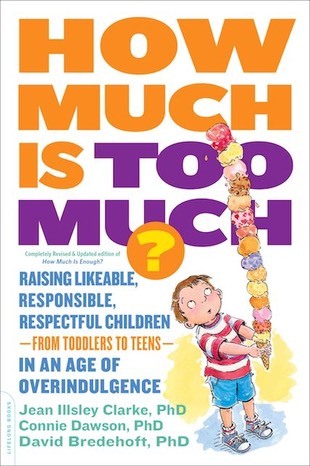 Whatever your situation, you can learn lots about helping children manage money from Dungan’s helpful book.